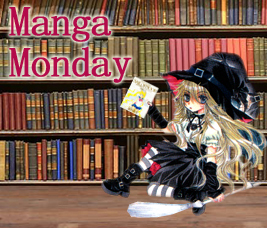 Manga Monday is a newer meme hosted by Alison Can Read. Why do I like Manga/Manwha/Manhua so much. Well it's basically just YA books in picture form. Some popular YA books made into Manga are Twilight series and The Infernal Devices series. I believe both are done by Yen Press. 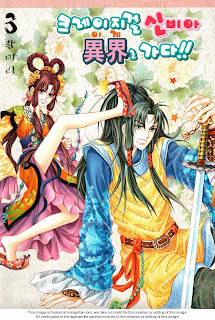 "When a tough, lazy, money loving, yet beautiful high school student named Shin Bia jumps down from a building , she thought she would die but instead she falls into the era where the ancient Goryeo Dynasty ruled?! She has to transform into a proper and elegant lady and while she's there she faces many obstacles." So just like books, I like when there is a historical aspect. So the title really sums up Shin Bia, she's nuts. Which is a common theme with Hwang Mi-Ri's female leads. Shin Bia is actually the reincarnation of a Bia from the Goryeo Dynasty. When Lady Bia realizes she is going to be murdered (she has mystical powers) she knows that her death will only bring turmoil to the country so she transports Shin Bia to the past in order to take her place when she dies so that no one will be the wiser. Unfortunately Shin Bia has ended up living a hard life and is more than rough around the edges. Lady Bia's mistress is the only one who knows the secret of the counterfeit Bia and must hide the fact in order to pass her off to her betrothed the Prince. Shin Bia's fighting skills come in handy with the attempts on her life but it doesn't help her with the complicated web of love squares she is dealing. Not to mention the confusion of who she should trust and the pressure to display the mystical gifts that she has Shin Bia doesn't have. Shin Bia just really wants to get back to her own world. This manwha is funny and cute. You have moments when Shin Bia is really annoying and other times when you feel sorry for her. She actual develops and changes through the manwha. Is this Chinese manga? Hwang sounds Chinese. But since you said manwha, I guess it must be Korean. Guess what? I checked out my first manwha volume the other day. A series called Hissing. Have you heard of it? I haven't read that one yet but it looks goods. You will have to tell me how it is.